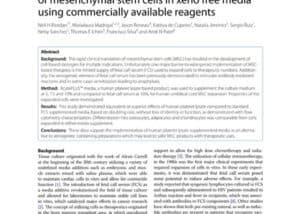 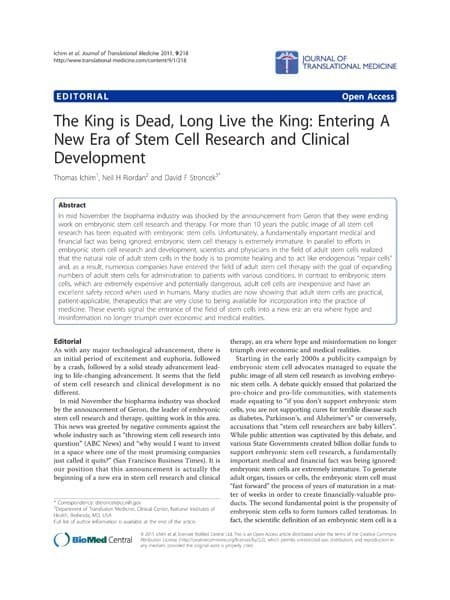 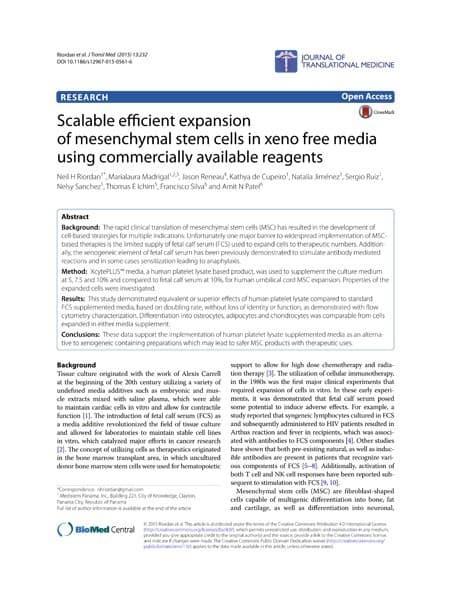 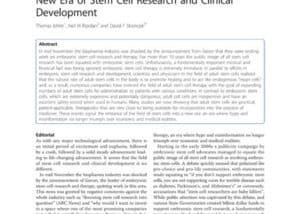 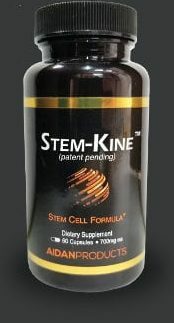 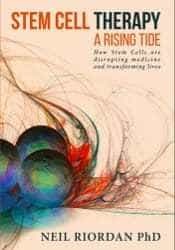 The king is dead, long live the king: entering a new era of stem cell research and clinical development. 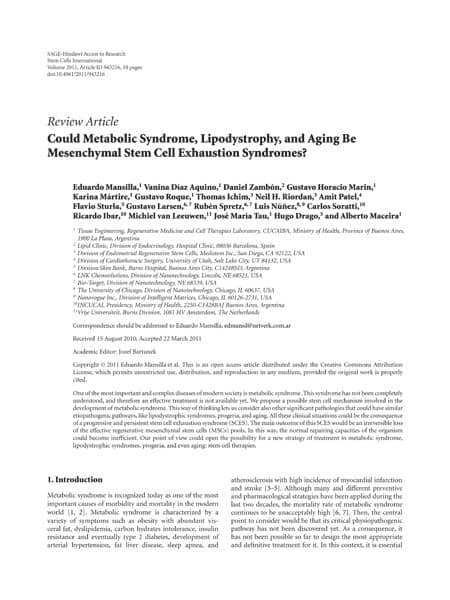 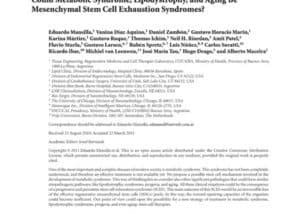 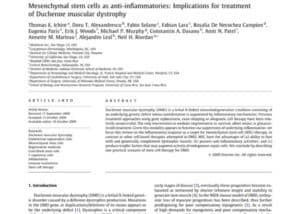 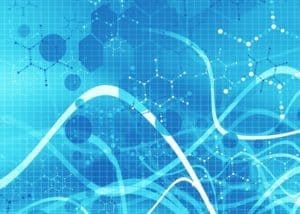 Could metabolic syndrome, lipodystrophy, and aging be mesenchymal stem cell exhaustion syndromes? 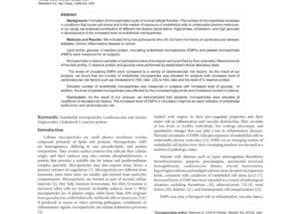 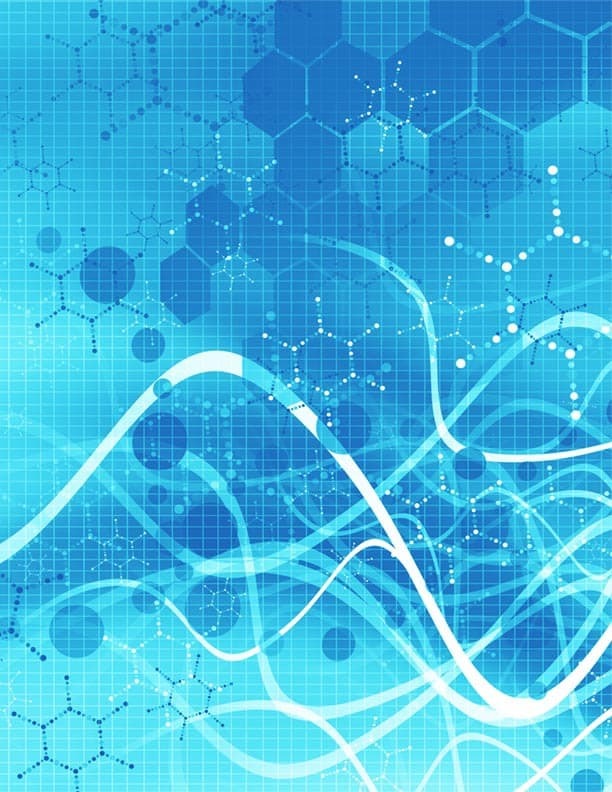 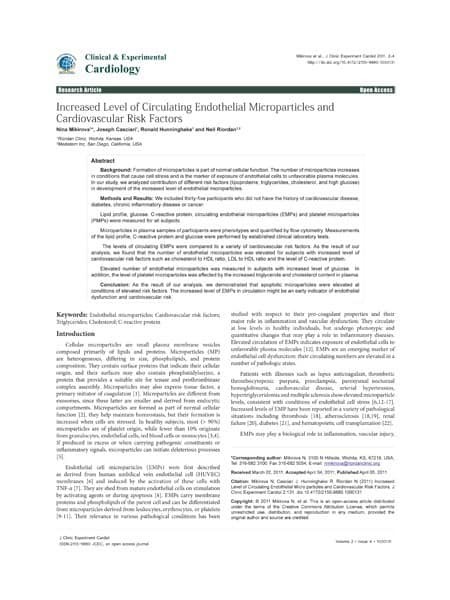 Increased Level of Circulating Endothelial Microparticles and Cardiovascular Risk Factors. 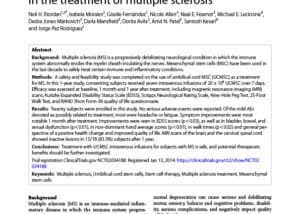 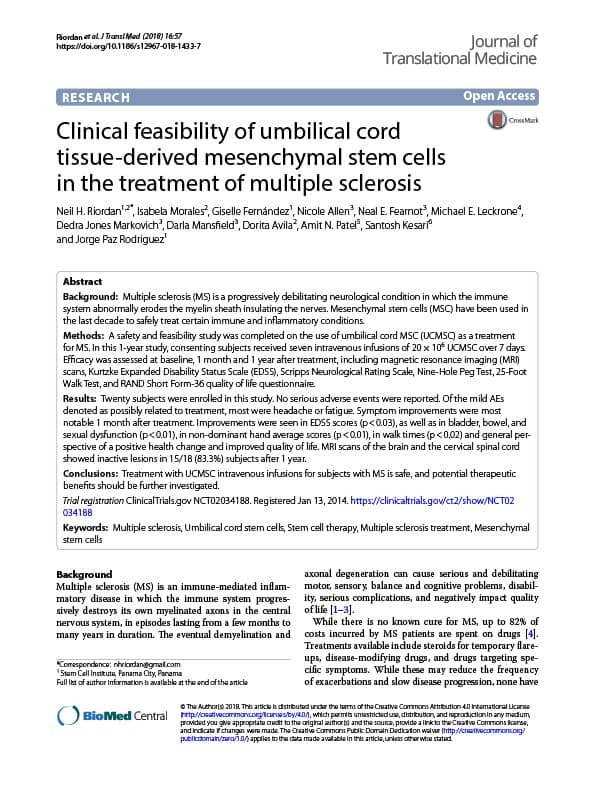 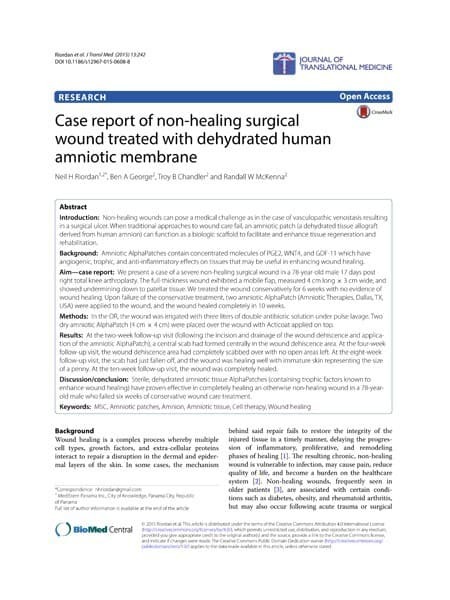 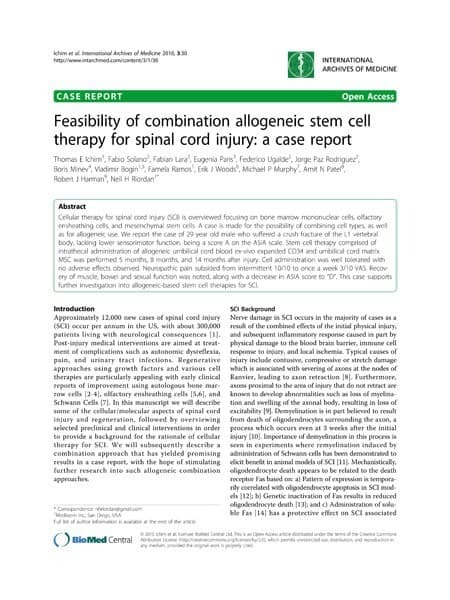 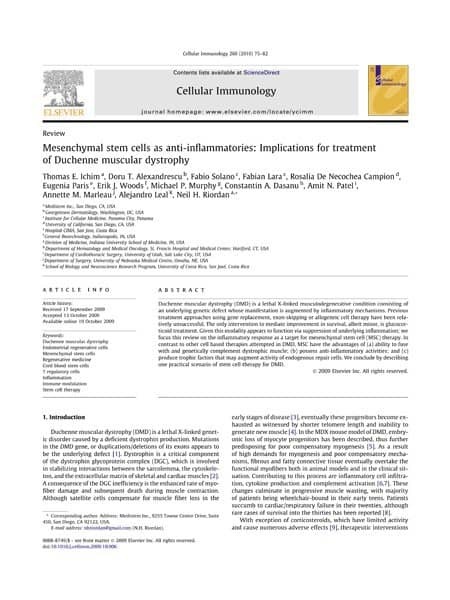 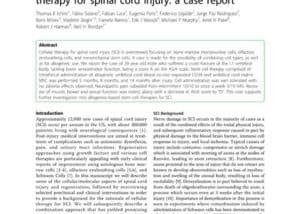 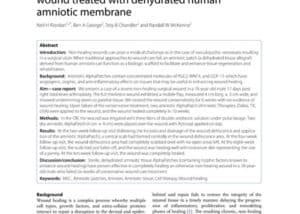 Feasibility of combination allogeneic stem cell therapy for spinal cord injury: a case report.